Basically, white rice has a bland taste. So, are you wondering about what to add to white rice to improve its taste? Well, an array of spices may be added to the rice to improve its flavor and taste. In addition to the spices, vegetables, spices, and herbs may also be used to improve the taste of this rice. 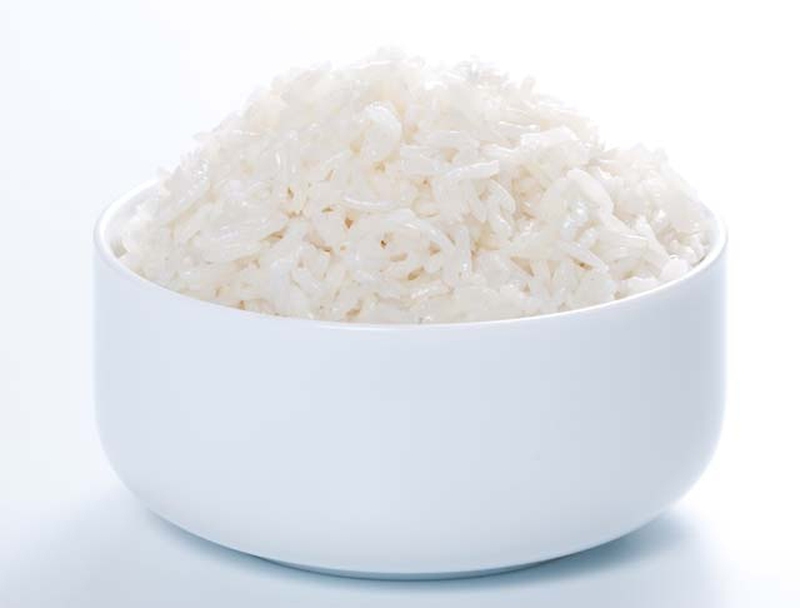 Regardless of the taste, white rice is rich in minerals and vitamins. To enjoy the rice, you should steam it and add your preferred ingredients to make it healthier. Steaming helps in locking in the nutrients in the rice. Rather than using water to cook your rice, you should consider using stock, a flavoring liquid in which aromatic vegetables and bones have been cooked. This is one of the preferred ways of adding flavor to white rice as it does not increase the fat or calorie content of the rice significantly. If you prefer having a vegan or vegetarian flavor in the rice, you should consider using vegetable broth as the cooking liquid. Alternatively, you may also use the water left over after steaming or blanching vegetables to cook the rice. However, if you are using this water as the cooking medium, you need to be careful of the sodium content in the water, which could make the rice too salty. Still wondering about what to put in white rice to give it an interesting flavor? You may use fruits and vegetables to improve the flavor of this type of rice as well as make it more nutritionally balanced. Both fresh and dried herbs can help to liven up a dish without leading to high fat and sodium. With a neutral flavor, choices are many when considering what to add to white rice. If you like a Spanish flavor, try saffron and oregano; for Vietnamese flair, try ginger and cilantro; and even a leftover rice can become a delicious dish with cloves, cinnamon, nutmeg and cardamom. Green rice: If you would like to include some veggies in your white rice, you should consider using this classic Arroz Verde recipe. Rather than using cilantro to add color to the white rice, use more veggies, such as spinach. Tomato rice: If you have extra supplies of veggies in your fridge you should not be worried about what to add to white rice. Using this tomato rice recipe, you can all the veggies you have in the fridge, especially the ones you are afraid may go bad if not used in the near future. This will give you a whole meal, in which you may adjust the level of spices by adding the jalapeno pepper. Golden with apricots: To prepare this recipe, you will need such ingredients as unsalted butter, warm water, saffron threads, minced garlic, finely chopped onion, chicken stock, cinnamon, thin slices of scallions, salt, roasted and salted almonds that have been chopped coarsely, a piece of cored Granny Smith apple, dried apricots and freshly ground pepper. On-the-grill rice: Are you cooking away from home? Well, this is among the easiest white rice recipes that you can easily prepare away from home. It is made in a disposable foil pan using ingredients like chopped onion, mushrooms and peppers. You may also include some veggies into the meal. To make this rice, you will have to use vegetable broth or chicken broth, depending on whether you are a vegetarian or not. Vegetables with honey: This simple recipe requires you to have grated carrot, chopped onion, sliced mushrooms and red bell pepper. Yellow rice is basically a bright turmeric rice. When coupled with peas, it makes a superb addition to any meal of the day. For a more economical recipe, you should consider using frozen peas for this recipe. You may as well enhance the flavor by adding dried Italian spices. Rice soup: If you are still looking for what to put on white rice, this chicken rice soup is a wise choice. The soup comprises of various spices, such as chili powder, cinnamon, coriander, paprika and cayenne. Additionally, you should also consider adding spinach to this whole meal to make it healthier. With chicken and carrots: This recipe requires thinly sliced onion, tomato paste, chicken, crushed garlic, salt, garaham masala and saffron. The white rice is then garnished with golden raisins, shredded carrots, a small amount of saffron and slivered almonds. Sweet rice: If you are looking forward to making something unique with white rice, you should consider making a coconut mango rice pudding. To enhance the flavor, you may use spices like cardamom, vanilla and cinnamon. For a natural sweetness in the white rice, you should add chunks of healthy mango. Fruity rice: This recipe will give you a flavor between sweet and savory. With this recipe, you can prepare wild rice using pecans and dried fruit. You may also add a mix of spices, nuts and fruits into the recipe. Coconut lime rice: You may use this resume to achieve a satisfying and simple flavor. For the best flavor, you should use a full fat coconut milk. The coconut lime rice may then be served as the base meal. It may also be served along with either fried or steamed veggies or even Thai entrees. Pesto rice: This is basically a rice salad that may either be used to accompany the main course or as a starter. It may be served cold or hot. If you do not have adequate time to prepare this recipe, you may as well purchase some from your local grocery store. Pistachios and pomegranates: This green and light purplish red recipe, made from pistachios and pomegranates is sure to amaze, if served along with wild rice salad. To sweeten the rice naturally and dress it, while using this recipe, you may use honey, fresh ginger and lemon. You may as well include a small amount of black pepper. Pilaf with lime and cashews: The ingredients required to serve six people with this resume are: yellow or black mustard seeds, canola oil, lime juice, cashews that have been coarsely chopped, fresh cilantro that is freshly chopped, either fresh serrano chiles or fresh Thai cayenne, salt and turmeric. Using summer herbs and sweet onions: This is another superb recipe, with regards to what to add to white rice to improve its flavor. The ingredients required here are: chopped sweet onions, fresh tarragon, fresh Italian parsley, butter and fresh dill. Herbed: The ingredients you will require for this recipe are: unsalted butter, kosher salt, fresh dill and curly parsley leaves that have been minced, fresh scallions and a small amount of black pepper. Spiced vanilla: The ingredients for this recipe include cloves, cumin seeds, cardamom pods, water, coriander seeds and fennel seeds. Portabella curry is a Thai inspired, prepared using large portabella mushroom caps, canola oil, minced garlic, salt and red curry, in either powder or paste form. Other ingredients for this recipe include lime leaves, unsweetened coconut milk, granny smith apple, toasted peanuts that have been coarsely chopped, fish sauce, fresh cilantro, fresh basil, grape tomatoes and fresh cilantro. Saffron steamed: This recipe is also known as chelow and requires such ingredients as water, long-grain basmati, either vegetable or butter oil, either nigella seeds or cumin and ground saffron. Rice pilaf: The Mexican Rice Pilaf comprises of various seasonings and spices, such as chilies, cilantro and cumin, hence offering a magnificent flavor for the white rice. Based on your preferences, you may either use the pilaf as a suitable side or use it to make a fast weeknight meal.